The Department of Water and Sanitation (DWS) told the Portfolio Committee that the National Treasury’s regulations gave the Department’s accounting officer the power to shift funds for the 2017/18 financial year. The Department did not plan to revise the budget allocations, as its projects were not implemented annually and often stretched beyond financial years. It owed its service providers an amount of R1.463 billion, which was comprised of Regional Bulk Infrastructure Grant projects, as well as goods and services sourced by the Department. The Sedibeng Water Board owed the DWS R1.7 billion, and in return the Sedibeng Water Board was owed R2.8 billion by various municipalities. The other water boards would be paid within 30 days, and the boards would also be paying the Water Trading Entity monthly. The amounts that would be reprioritised from the Water Services Infrastructure Grant and Accelerated Community Infrastructure Programme were R587 million and R214 million, respectively. In order to successfully reprioritise the funds, the Department would be working with Treasury, the Department of Co-operative Governance and Traditional Affairs and the Municipal Infrastructure Support Agent. 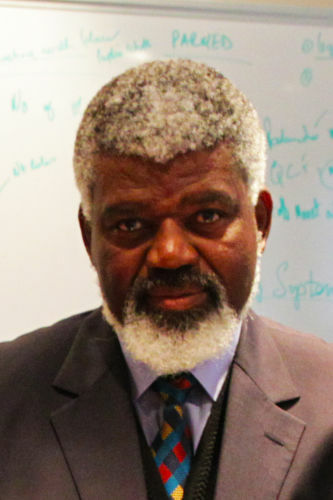 The Committee was concerned about the R1.5 billion shortage and how it would affect the completion of projects; they asked how much the Department had set aside for the bucket eradication programme; they questioned the appointment of four additional debt collectors; and wanted to know who determined how the board members of the water boards were paid. The Committee was also worried about a number of contradictions between what the Department had presented and the report that it had submitted a few days before. The Committee added new recommendations to its budget vote report. It recommended that it be made clear who the person responsible for the remuneration of members of the Water Boards was, and which Act governed their remuneration. The Director General of the DWS should be cautioned that if the Department knowingly incurred fruitless and wasteful expenditure, it would be regarded as a criminal offence in terms of the Public Finance Management Act. The length of time it took for the Department to issue water use licences was of great concern to the Committee. It was recommended that the DWS must develop a system that was more efficient, to allow the process of issuing a licence to be shorter. In addition, quarterly reports were asked to be submitted for all the Department’s projects, including those on their wish-list. The budget vote report was adopted. The Chairperson said the meeting was a continuation of the previous day’s meeting, which the Committee could not complete. It had decided to invite the Department to take the Committee through what their plans were regarding the management of the DWS and its entities. The Committee had written a letter to the Department mentioning all the problems which the Committee had difficulty with. These issues related to engagements between the Department and National Treasury regarding the infrastructure grant, and the agreement with the Reserve Bank that no interest would be charged on the overdraft; the revised budget of the annual performance plan (APP) in light of the shortfall of the 2017/18 budget; that the Department should supply a list of suppliers to which the Department owed money; detailing the outstanding debt it owed to Sedibeng Water Board; an indication of which projects would not be implemented if the Accelerated Community Infrastructure Programme (ACIP) and the Water Services Infrastructure Grant (WSIG) grants were reprioritised; and the bucket toilet eradication project. Ms Mahdiyah Solomons, Committee Secretary, said the Committee could raise its concerns regarding the Department through its recommendations in the Budget Report, which would be tabled and adopted in the National Assembly. If there were any particular issues, such as the programme’s budget and timeframes, the Committee had to raise these concerns in the Budget Vote report through the recommendations. Ultimately, the Money Bills Procedure Act spoke to the role of the Standing Committee on Appropriations (SCOPA) a far as budget constraints were concerned. 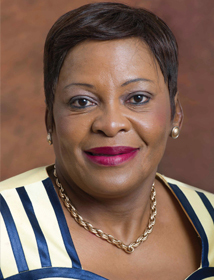 Ms Nomvula Mokonyane, Minister of Water and Sanitation, said various engagements between the Department and the National Treasury had taken place. The Public Finance Management Act (PFMA) and Treasury regulations set out the powers of the accounting officer to shift funds within the Department’s voted allocation for the 2017/18 financial year. The Minister referred to a letter (Annexure A) received by the DWS from the National Treasury, urging the Department to make use of these provisions to fund priorities within the Department and the Water Trading Entity for 2017/18. Ms Mokonyane said the Department would not be revising its budget allocations because the shortfall related to the Regional Bulk Infrastructure Grant (RBIG) projects, which were multiyear projects. She reminded the Committee that the Department did not have annual projects -- they all stretched across the years. Some of the RBIG projects earmarked for funding in the 2017/18 financial year had been completed earlier than planned. The amount owed to contractors as at 31 March 2017 amounted to R1.463 billion. The debts were related to RBIG projects (R1.342 billion) and goods and services (R121 million), which were not project related. The RBIG programme amounted to a total of R5.8 billion in the current financial year, and the debt of R1.463 billion would be absorbed from within this allocation. The Department had supplied the Committee with a spreadsheet (Annexure B) of a list of suppliers to which it owed money for the RBIG projects. The suppliers owed were listed categorically under each province, as well as the suppliers owed by the head office. The Minister said the Sedibeng Water Board owed the Water Trading Entity (WTE) R1.7 billion, and in turn the Sedibeng Water Board was owed R2.8 billion by various municipalities. These municipalities were in the Free State, Northern Cape, Mahikeng and Namakwa local municipality regions. Rand Water was owed R52 million by the Bushbuckridge Municipality. For the rest of the water boards, the debt owed was within 30 days, and Sedibeng was paying the WTE a monthly amount. In addition, the WTE would reduce its overdraft by R200 million by the end of June 2017 and by R548 million by the end of March 2018 (Annexure D). A letter received from the National Treasury, marked as Annexure E, stated that no interest would be charged against the WTE to date, and none would be charged in the future. The National Treasury had committed itself to assisting the Department to implement the conditions in the allocation letter. No existing projects would be affected by the reprioritisation of the Accelerated Community Infrastructure Programme (ACIP) and Water Services Infrastructure Grant (WSIG), where R587 million from WSIG and R214 million from ACIP would be reprioritised. The Department earmarked funds to intervene in non-functioning municipalities on a yearly basis. It was also working with the National Treasury, the Department of Co-operative Governance and Traditional Affairs (COGTA) and the Municipal Infrastructure Support Agent (MISA) to align the different grants that were there for delivery of water and sanitation programmes, especially were there was bulk infrastructure and no reticulation. The tripartite agreements would be signed to ensure that the three organisations operated in a more co-ordinated manner. The Minister said that the Department had inherited the bucket toilet system problem, which meant it had to focus on dealing with its eradication in the informal townships. Historically, the Department had not considered the infrastructure that was needed in order to make the bucket system function properly. On this basis, the bulk infrastructure would be de-linked from the Bucket Eradication Programme. The Department was working closely with the Water Research Commission (WRC) to find alternative innovative solutions that were not water-borne dependent, as this would help reduce the costs of providing dignified sanitation solutions. The Chairperson said the RBIG programme was budgeted for the multi-year projects of municipalities for their own bulk infrastructure. If nearly R1.5 billion would be reprioritised from the RBIG programme to cover the previous year’s shortfall, had it been taken into account that current budgeted items would be adversely affected? Mr L Basson (DA) said the Department had previously indicated that it would experience problems with the reprioritisation of the grants, and said it would be reprioritising R500 million and R300 million for the RBIG projects. The Minister had presented three different versions of how the RGIB projects would be funded. In the previous meetings, the Committee had asked the Department to supply it with a list of projects that would be affected by the reprioritisation. The Minister had so far presented to the Committee three different versions of how it planned on ensuring that these projects were delivered. The Chairperson said the area he was referring to had become a major bone of contention, as both the Director-General and Chief Financial Officer had had to be excused from the meeting to allow them to align their presentations to include the budget. Of concern were two major budget areas, which spoke to an amount of R1.5 billion which was part of accruals, and R2.2 billion which would have been the shortfall in the budget. Presently, the Committee was concerned with how the Department was going to source the R1.5 billion, because it could not be traced where it would be sourcing it. Although the Department had its annual plan, whether the budget would follow the plan with its current amount owed to services providers, was of a great concern. Ms Mokonyane replied that each programme had been allocated with a budget, and one of these projects was the RGIB. Within the RBIG project, there was the allocation of more than R1.5 billion. There were projects from the 2016/17 financial year that would fall into the 2017/18 financial year. If the Department had stopped the construction of the projects, and opted instead to continue with them in the new financial year, the cost of service providers would have been more than what the Department had presented to the Committee. The work being done by the service providers was actually a continuation of work which they had been doing in the previous financial year with the allocation of R1.3 billion and R120 million, which made up the R1.5 billion. The DWS could have not paid the service providers in the 2016/17 year because the projects were tagged as projects for 2017/18. Most of the projects were not tagged as projects for 2016/17, nor 2017/18 -- in fact, many of them would go as far as 2018/19. The Minister said the amount of R2.2 billion included a list of projects identified by programme managers, who had indicated that if the Department provided it with more money, the projects could be implemented. However, this wish-list from the programme managers did not fall under the Departments’ APP, but was funded through a grant received from the Municipal Infrastructure Support Agency (MISA) and the National Treasury. The Treasury had already indicated that the Accounting Officers would be within their rights to reprioritise the budgets, as long as the budget stayed within the same programme it was earmarked for, which was the RBIG programme in this case. Mr Basson said he was not disputing that budgets could be reprioritised. However, it had been reported that the Department was technically bankrupt, and when the Minister had presented to the Committee on the outstanding R1.5 billion, she had indicated that some service providers had taken the DWS to court, and some invoices were unpayable. If the Minister could not provide evidence to prove that projects would not be affected, then he did not believe their APP. At a previous meeting, the Department had said it had a shortfall of R1.5 billion from the 2016/17 year to pay contractors, so how would the Department pay the contractors in the 2017/18 year with a shortfall hanging over them? The Minister had not given the Committee any evidence to prove that projects would not be affected by the R1.5 billion shortfall, and the money that was being reprioritised from the RBIG programme would not cover all the projects. The Department had presented four different versions of how it would finance its projects. Ms T Baker (DA) asked what the budget for the bucket eradication programme was, how much the outstanding debt to the water boards was, and how the water boards would be paid. Mr H Chauke (ANC) said the shortfall of R1.5 billion was of great concern to the Committee. The Committee and the Department must go through the list of invoices together. The problem was that the Departments’ wish-list had been presented to the Committee as on-going projects that the Department planned on completing soon. The Committee would have to accommodate the wish-list at its next Budget Vote. The Committee would have to put forward a recommendation on how the invoices should be paid and by when the shortfall should be covered. The Treasury should also work closely with the DWS to assist them to ensure that invoices were paid. Mr Basson interjected, and said the WTE had reported that it was going to get a financial contribution of R255 million from the DWS to implement the projects on the wish-list. From what had been presented, the wish-list would not be completed unless the Department was able to source R1.5 billion and an additional R2 billion for the projects. The Chairperson reminded the Committee that it could make use of its quarterly reviews to track the Department’s progress with regard to paying invoices and the completion of projects. It was agreed that the Committee would be working closely with Treasury and the Auditor General to assist the Department. Ms Mokonyane replied that the bucket eradication programme would be financed through the ACIP and WSIG with R800 million, and of this amount R145 million would be used on the alternative sanitation solution without the bulk infrastructure. Annexure B served as enough proof of invoices of projects, and the Department had also listed each programme for each province. The DWS did not take up new projects each financial year, but it did register new activities each year that fell within the projects. The Department was working closely with Treasury, because the crowding in of grants that went to municipalities and management could relieve the budgets. She agreed with Mr Chauke that it was imperative for the Department to work with Treasury, but most importantly iy had to work closely with municipalities and their water boards to relieve the WTE of its financial burden. The Minister said perhaps it would be useful to consider policy matters against how the Department would fund the realisation of the outstanding projects. It was important for the Committee to recognise that the Department was working with the Strategic Water Partnership Network and the WTE to help them realise the completion of projects. The DWS would also be putting their revenue towards the programmes that were on their wish-list. With that being said, debt collection had been a major concern for the DWS, especially how it collected and dealt with the issue. In the past two or three months, it had made improvements in debt collection -- instead of hiring contractors to collect the debt, it had made use of inter-governmental relations (IGR) and worked with COGTA, where a Memorandum of Understanding (MoU) had been established. Mr Basson said Annexure B did not include a list of on-going projects, but rather the outstanding invoices worth R1.5 billion. He agreed with the Minister, that the Department should indeed move towards collecting its own revenue instead of hiring contractors to do the job. At a previous meeting, the Committee had been informed that the contract commission had been agreed at 11%, and not the 12% that was in the original agreement. However, an addendum to the contract stated that it was 11.5%. If the Department continued to feed the Committee wrong information each time, it would eventually become difficult to believe anything the Department said without written proof. Mr Chauke asked the Department to submit to the Committee a copy of the contract information, including the amount that had been paid, when the contractor was appointed, how the contract was advertised and any necessary details the Department may think the Committee should have. Ms Baker said the Department had previously stated that it was happy with its debt collectors, but even so it was thinking of increasing the number of debt collectors to four. An ANC Member said the Committee and Department agreed that the DWS would be responding to issues that had been raised at the previous meeting. However, the Director General (DG) and Chief Financial Officer (CFO) had not responded to the issues that had been raised, so the Committee was asking the same questions again. The Chairperson said all the amendments pointed out at the previous meeting regarding the grammar had been corrected. Ms Mokonyane said 7.1.1 should explain that since the reprioritisation, some projects within the ACIP and WSIG would be according to discretion and the need for intervention. Also, the last sentence of 7.1.3 should be changed in order to indicate that the Department was still in the process of exploring the possibility of engaging an additional four contractors, as their appointment had not yet been resolved. Ms Baker said it was the Department itself which had said it was considering getting an additional four contractors. 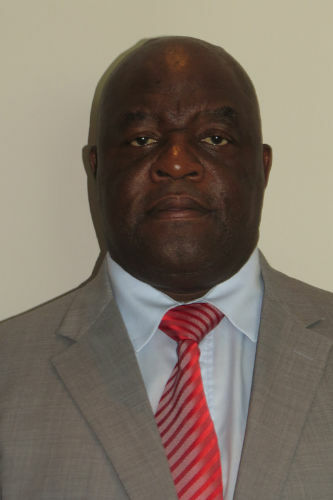 Mr Dan Mashitisho, Director General: DWS, replied that the Department had not appointed any more debt collectors, so the term “resolved” should be removed from the report. Mr Basson said on Tuesday the Department had reported that it was happy with the service received from the debt collectors, and it was now thinking of appointing four additional debt collectors. Also, the WTE had said it would be receiving a certain amount from the Department, but since it was unable to pay off many of its service providers, would it still be able to fund the WTE? Mr Sifiso Mkhize, Chief Financial Officer: DWS, replied that since the Department had decided to revise its report, none of the requests made by the entities had been approved, including the WTE request. For now, the budget request remained on the wish-list. Ms Baker asked how much money the Department owed the water boards, and how much money was being put aside for the bucket eradication programme. Mr Mkhize replied that a spreadsheet containing the amounts owed to the Department had been provided to the Committee. Ms Mokonyane said that R145 million would be put aside from the Departments’ budget for the bucket eradication programme. Mr D Mnguni (ANC) asked for clarity in point 7.1.11 as to whether the construction unit had 2 700 or 3 000 employees. Ms Mokonyane replied that there were 3 000 employees. Fewer than 10% of the employees were part of the public service, and the rest were contract workers. The Chairperson said the suspension of employees of the Department could not be discussed at a public session. The matter would need to be discussed in a closed session. Ms Baker asked for clarity on how the payment of board members of water boards was done. They were said to be paid a monthly stipend, while members of other boards were usually paid per sitting. Ms Mokonyane replied that a note had been sent out to the board concerned, and all its agencies, instructing it to pay back the money. If the Board did not pay the money back the members would be held liable when going to other board meetings. In addition, a notice had been sent out to the DDGs responsible for water boards, informing them of the changes. Ms Basson said a correction should be made to point number 8.4 -- there were 824 wastewater systems, and not 963. Ms Mokonyane said catchment management agencies (CMAs) were not set up in all provinces, but rather in different areas. As a matter of fact, some CMAs may overlap across provinces. She suggested that the word “provinces” be removed. Ms Baker said the report said there were nine CMAs, which should also be made clearer. Also timeframes for reports and projects should be added. Ms Mokonyane said in 8.13, the words “Independent Oversight Committee” should be removed because the Committee should be responsible for oversight activities. The Chairperson said the Department should provide briefings on the climate change adaptation strategy for the water sector, with periodic updates on the implementation of the strategy in collaboration with the Department of Environmental Affairs, which was in charge of this process. Mr Basson said 8.16 should make it clearer that the report which was to be provided was on the Clanwilliam Dam, and that it had to be presented by the directors responsible for the division, and not by the Minister. He also asked for a detailed explanation of the duration that these employees were going to be on-site and its cost implications, and a report on the construction unit in terms of its role, functions, number of employees and responsibilities. Mr T Makondo (ANC) said if the Department had co-operated with the Committee, it would have made matters a lot easier. The Committee had previously asked the construction unit to report on its role and responsibilities, but the Department had refused as it had stated that it was in the process of assisting the unit with the compilation of the report. There had been a lack of co-operation from the Department, and in the process it had made the Committee look disorganised. Mr Basson said he agreed with Mr Makondo, and the issue of the Departments’ lack of co-operation should be listed as part of the recommendations. The construction of the Clanwilliam Dam had been stopped in January 2016, yet there were still 53 people who were employed on the site. Ms Baker asked how the remuneration of members of water board was determined, and what policy the Minister used to determine their salaries. The Department must provide details on the development of a policy which would guide the regulatory framework in the management of oversight of water boards when appointed as implementing agents. The Chairperson responded that the remuneration of board members was determined, using the National Treasury regulations. Ms Shereen Dawood, Content Advisor, said the National Water Act empowered the Minister of Water and Sanitation to make regulations determining the basis and extent of remuneration and payment of expenses for members of the boards of the Catchment Management Agencies in terms of Section 90. She added that the Committee should recommend a communication by the DWS to the Minister of Finance, giving reasons as to the basis and extent of remuneration of board members; progress on whether a remuneration policy was being drafted by the DWS on the payment to board members of CMAs; and whether the circular issued by National Treasury on the remuneration of board members applied to CMAs. This information was required within the prescripts of the National Water Act, 1998 in respect of Section 90(1) (c). This information would provide guidance to the Committee on the establishment of future CMAs. Mr Chauke said the Committee should take note of the R1.5 billion in outstanding debt owed from the 2016/17 financial year, which would be settled in the 2017/18 financial year. The DG must be cautioned against knowingly incurring fruitless and wasteful expenditure in this regard, in terms of Sections 40 (a), (b) and (c) of the PFMA. Mr Basson said the DWS should meet with Treasury to establish whether it could allocate additional funding to the Department. The Department should submit a detailed list of programmes and projects affected by the R2.02 billion unfunded requirements within a period of one month. Ms Dawood said in terms of the PFMA regulatory framework, and in light of the in-year monitoring in 2016/17, the DWS had overspent by R18.9 million. The PFMA defined it as unauthorised expenditure within the audit outcome, and the over-expenditure of R18.9 million had to be accrued by Parliament, and for the National Treasury to regard it as a breach of the its regulations. The Chairperson said another recommendation was that the Department must bring a detailed outline of the 300 days it took to process water use licences. Mr Chauke added that the Department should instead be requested to develop a system that was more efficient, allowing for the processing period for water use licenses to be shorter. Further, the Department must in the next three months submit the wish-list and the programmes related to the wish-list. Mr Basson argued that the list was detailed, so it could not be taken as a wish-list, but rather as a list of commitments/expenditures made by the department. Mr Chauke suggested that the Department should demonstrate how it was going to fund the projects/programmes on the wish-list. Further, it must submit a detailed report within one month on how the debt collection company had been appointed and how it planned to manage debt collection in future. Ms Solomons added that a resolution had been taken by the Select Committee on Public Accounts (SCOPA) that water boards could no longer act as implementing agents. The Chairperson said that kind of resolution had not been submitted to the Committee. However, there were plans to merge all the water boards into one water utility for South Africa. The Committee had requested the Department to submit a report regarding the merger, because it was worrisome for the employees who were appointed to the water boards. Ms Baker added that the Department must provide a detailed list of projects still being managed by water boards as implementing agents, and the cost implications thereof. Ms Dawood said the process of appointing water boards as implementing agents for emergency interventions at municipalities may pose further tensions in ensuring the full functioning of the Intergovernmental Relations Framework Act, and the Water Services Act, which gave the mandate for water service provision in respect of reticulation and bulk water services infrastructure. Mr M Galo (AIC) moved the adoption of the report. Mr Mnguni second the motion for adoption.